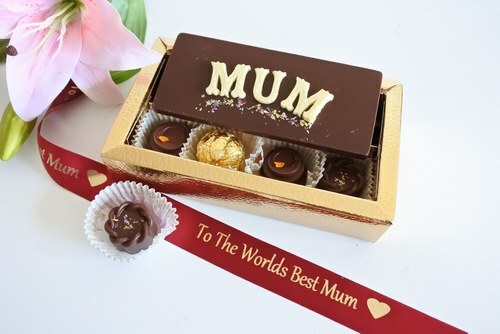 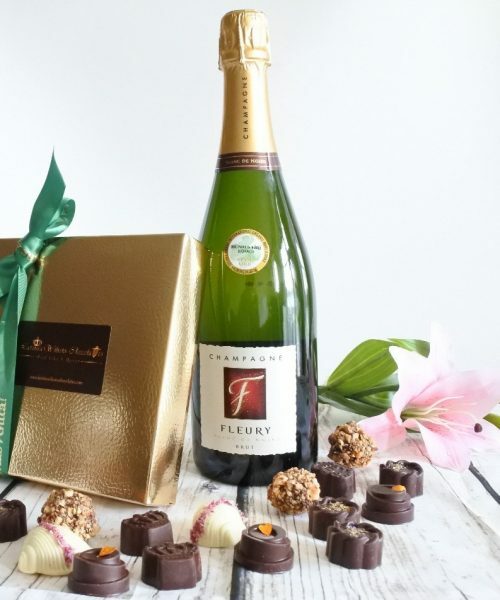 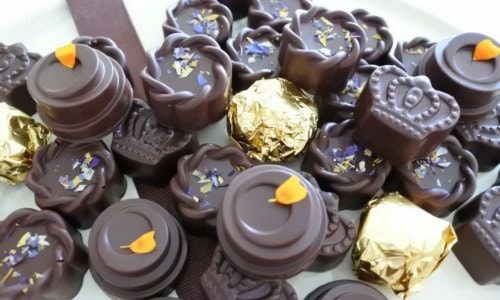 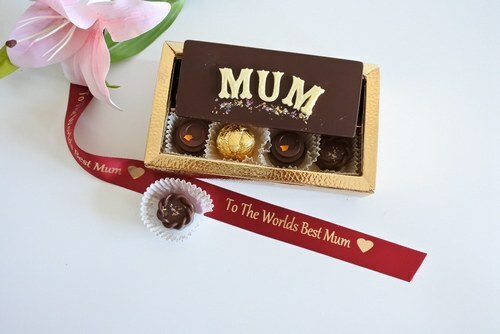 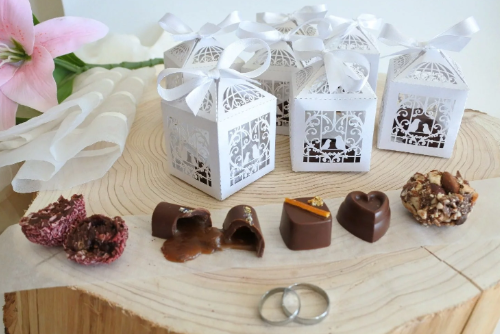 All of Lavinia Wilson’s chocolates are made from organic ingredients (with the exception of the edible flower decoration). 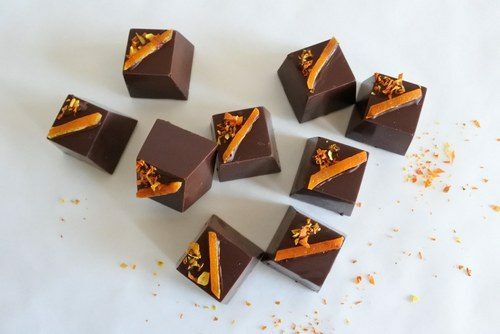 These single origin organic chocolates are so special because they are ethically sourced from The Congo and the Dominican Republic. 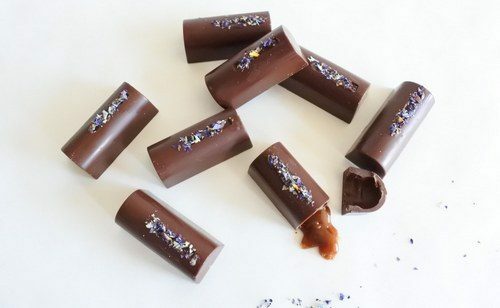 Cherry Ingredients: Organic white chocolate,cherries, edible flowers, organic butter, organic cream, invert sugar (organic sugar and water)Caramel Ingredients: Organic milk chocolate 55%, organic butter, organic cream, wildflower honey, sugar and edible flowers.